Planning on building a new home? need a new installation for your business? or even supply to a small shed. Give me a call for a free quote, or drop me a email of your thoughts, so I can get to work helping you achieve your vision, my prices are very competitive to point you in the right direction. 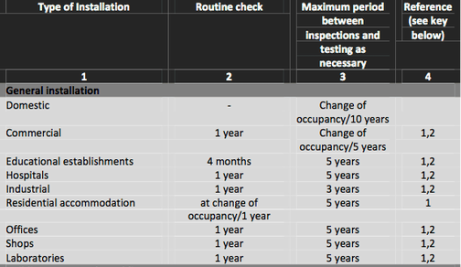 Electrical installation condition reports (EICR's) are carried out as a routine inspection and testing of a existing installation. As the name implies a report into the condition of the electrical installation and to highlight any safety shortcomings, defects or deviations from the current revision of the electrical regulations BS7671. new occupants are required to have a recent EICR prior to purchase and then periodically between the time shown in the graph to the right. Fault Finding To expertly troubleshoot electrical installations, problems must be solved by locating, repairing or replacing defective equipment & components in the least amount of time. A process of elimination methods are implemented. Money saving tip: Residual current device (RCD) keeps tripping? Try these simple steps. Unplugging all the socket & turn off all switches. If the RCD stays on, switch and plug your equipment one at a time until the RCD trips again, this will locate a faulty switch or appliance. If unsure and need further assistance just give me a call. 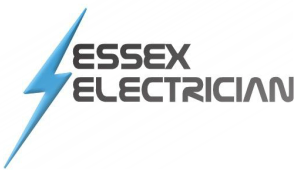 Our engineers are trained to install, as well as fault find on various heating systems like s-plans and y-plans also we use a wide rage of products makes like Honeywell, Nest, Drayton and much more..
We also have experience in changing and installing immersion heaters, replacing electric showers and electric underfloor heating.